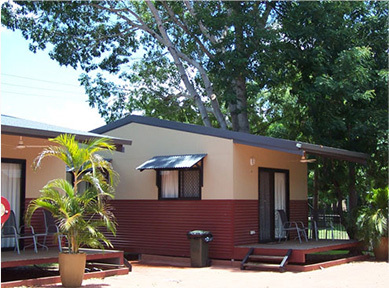 The Adelaide River Inn & Resort offers a selection of accommodation. We have accommodation to suit the needs & budget of any discerning traveller. 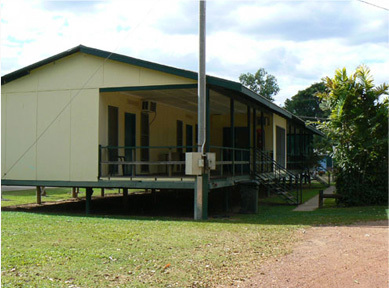 On offer we have the private tranquil surrounds of the Caravan Park & camp grounds; we also offer budget rooms, motel rooms and fully self-contained cabins. 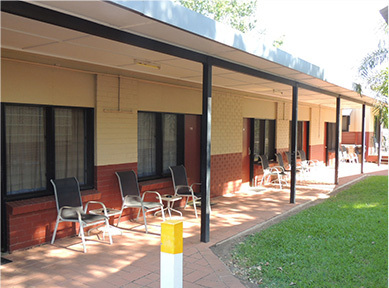 All accommodation is within walking distance to the fully fenced tropical pool, the iconic 303 Bar; Digger's Bistro and PUMA service station, all of which are located within the Adelaide River Inn & Resort complex. 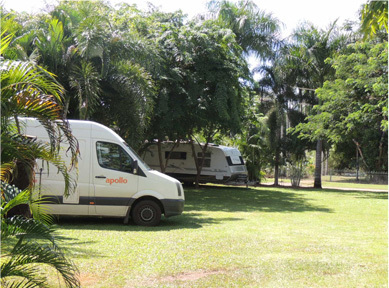 The caravan park offers comprehensive facilities within private surrounds set amongst tropical gardens and manicured lawns adjacent to the Adelaide River. The cabins are modern, comfortable, well-appointed and contemporary. Renovated rooms of brick construction to which they are cool & quiet. Elevated rooms that lay very close to the "303 BAR" & swimming pool.